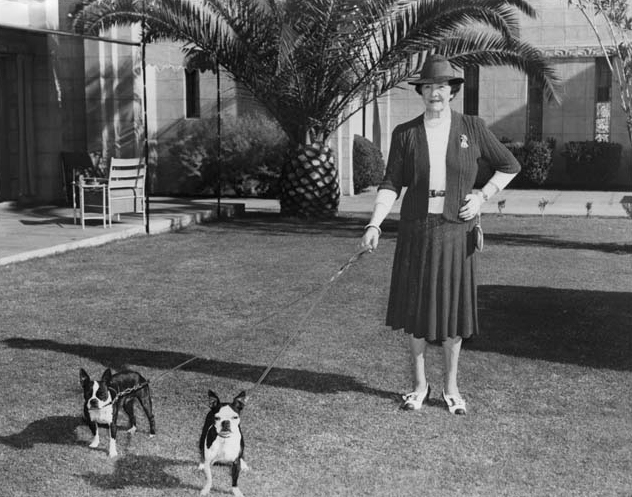 It's the 1940s, and we're Boston Terriers, living a wonderfully privileged life, visiting the Arizona Biltmore. I must say that we're a dapper pair! 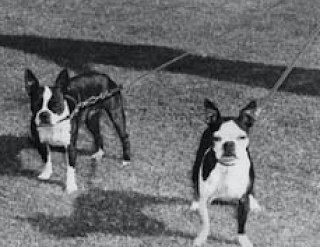 I like that everyone calls us "American Gentlemen", and it's not just because we always wear our tuxedos, it's because we really are gentlemanly dogs. Oh, you're a female? Sorry, well, I guess you can be an American Gentleman Lady. 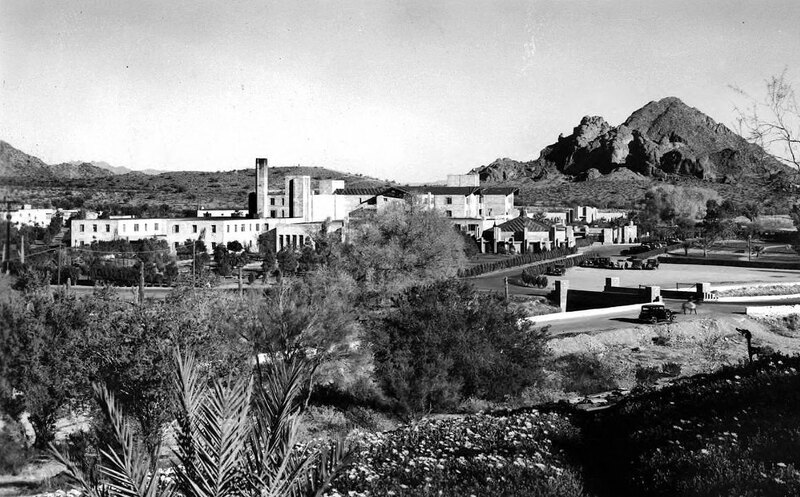 The Arizona Biltmore in 1936. You're looking east-southeast towards Camelback Mountain. What a beautiful day! It should be, it's winter in Phoenix, which is the only time that the Biltmore is open. We've heard that it can be terribly hot in the summer, but we society dogs would only visit in nice weather. Anything else would be uncivilized! 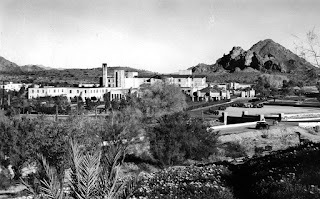 Since it's the 1940s, the Biltmore is way north of the Phoenix City Limits. 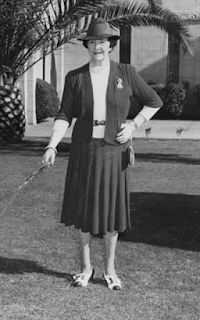 You get there by going to Camelback Road and 24th Street, and then taking the drive across the Arizona Canal. I know, because I was looking out of the window the whole time, tongue hanging out, and even barking a bit in the limousine all of the way from the train station downtown. There's nothing but open space north of us, to the Phoenix Mountains, and plenty of this wonderful grass to play on here by the golf course. Life is good for us! Hmmm... I'm feeling a bit hungry, will you ask our human to ring for room service? If you liked this article, and would like to see more, please consider becoming a patron of History Adventuring on Patreon. If you're already a patron, thank you! You make this happen!